The average cost of a data breach has skyrocketed over the past few years, and now stands at $5.5 million per incident. To date, the most expensive breach racked up a total bill of $94 million in costs. Currently, 46 out of the 50 states have enacted laws that require companies to notify those affected by a security breach, meaning your company takes a PR hit on top of the costs of restoring the data, restoring the network to productive status, and the legal fees incurred during the breach. For example, over the course of time, the Home Depot breach will likely result in billions of dollars in losses, which includes the loss of business due to angry customers and others who fear trusting their sensitive credit card information with the company after the newsworthy breach. Managed service providers, usually shortened to MSP, are IT professionals that take over the responsibility for a business’ IT management. The MSP provides a predetermined service or services for a set fee, usually paid by the month. Usually, the MSP handles the business’ IT needs via the cloud, so the business doesn’t have to invest in an expensive data center. Since the costs occur monthly (instead of a huge cost to establish the data center), an MSP partnership allows the business to pay for IT as an operational expense (OpEx) like utility bills, instead of as a huge capital expense (CapEx). But the MSP does more than simply save the business money and simplify the IT operations. 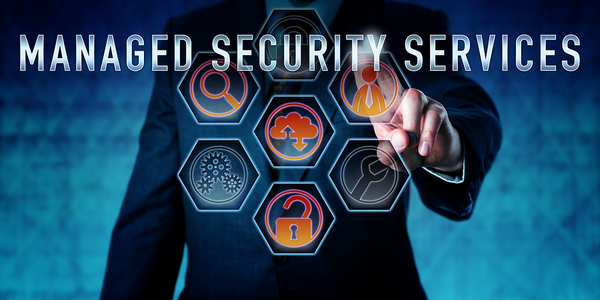 An MSP can also provide protection against all kinds of cyber crimes, including the costly data breach, malware infestations, ransomware, and other security issues. Here’s how. An MSP proactively works to prevent cyber security issues 24/7. But the fact of today’s online environment is, someone will try to breach security at some point in time. An MSP has the monitoring tools in place to detect an attack in progress and begin shutting it down. This lessens damage and liability while keeping remediation to a minimum. You can go to bed and sleep just fine knowing your service provider is on top of it for you. When businesses invest in their own servers, there is no choice but to make the most out of those costs, which usually means all departments sharing a server. That leads to situations in which sensitive personal information on your customers might be sharing a server with data that is regularly accessed by outsiders. Or, you use a public cloud service, and your data could reside on servers with any number of other tenants. This is not only a nightmare for IT security, in many cases, it violates compliance regulations. A managed service provider lowers the risks associated with multi-tenancy environments, while still keeping costs at a minimum. Multi-tenancy is one of the issues covered in Payment Card Industry Data Security Standard (PCI DSS) regulations. Depending on the industry you’re in, you might be subject to other regulations, like GLBA, SOX, HIPAA, or even more than one of these. A managed service provider understands these regulations so that you don’t have to. You can focus on doing your business and let your MSP worry about compliance. Regular backups are another aspect of remaining compliant, but even without the rules, backups are just good business practice. Without regular, thorough, and fully-protected backups, your business couldn’t survive any disaster, including a breach in cyber security. An MSP handles backups so that you don’t have to. Learn more about what a managed service provider can do when you download the white paper: Managed IT Services For Small Businesses.